Career highlights A degree from the University of Georgia led clary to work in fashion merchandising in Savannah before coming back to her hometown of Atlanta. 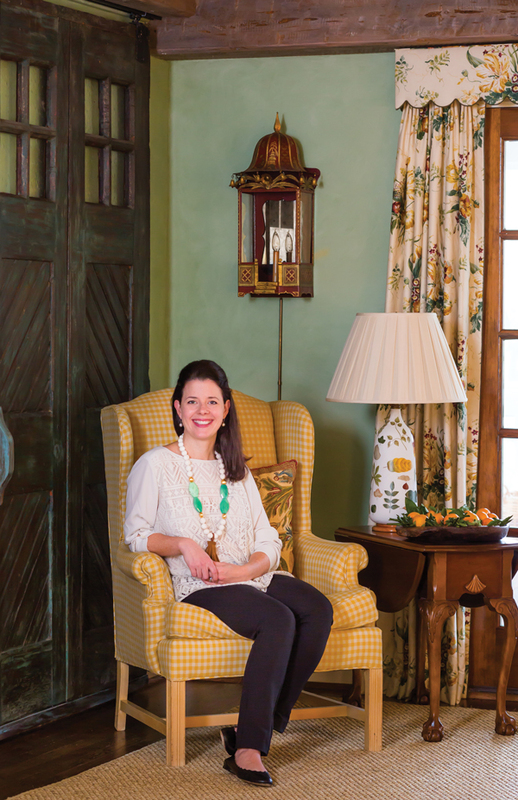 she works with her mother, Margaret Bosbyshell, continuing a lifelong interest in design. How do you give traditional design a new twist? Traditional design is always relevant, classic, and timeless, but not every piece needs to be traditional. I love to add modern art to give a room a breath of fresh air. A Lucite coffee table, zebra rug, kuba cloth pillows, and Wassily leather chair compliment the streamlined sofa and curvy chair by Wesley Hall. Do you have a signature look? 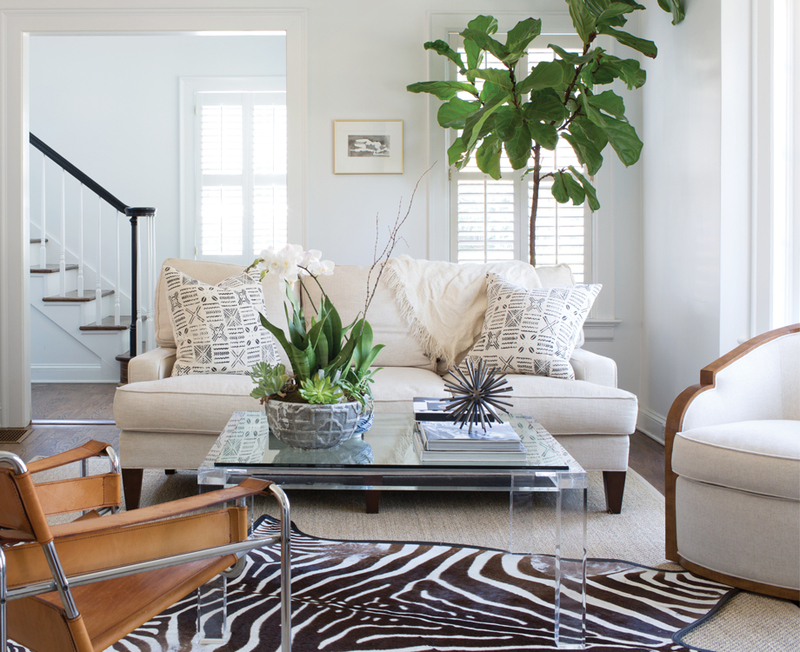 I love white walls, and layering textures—grasscloth, wool, linen, iron, block-print fabrics, solid fabrics, leather. Clary mixes vintage finds (rattan chair, burl wood table), midcentury classics (Knoll coffee table, Serge Mouille light fixture), and even primitive touches (juju feather hat). Design idols: Mark Sikes, Kelly Wearstler, Aerin Lauder. What is your take on these traditional staples? 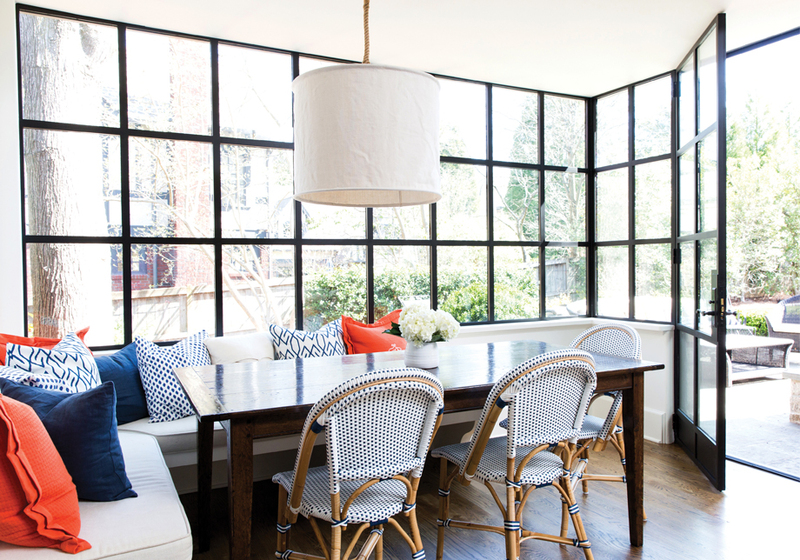 Window treatments For the right architecture, cornices can work, but I usually like an iron rod that elbows back into the wall, with a great fabric and a messy/French pleat. Patterned fabrics I sometimes mix pattern on pattern in an unexpected way. My current favorites are Penny Morrison, Lisa Fine, Zax + Fox, Katie Leede, and Peter Dunham. Wallpaper Love wallpaper—grasscloth to warm up a family room, a bold print in a powder room, and chinoiserie wallpaper in a dining room. Antiques Every room should have at least one antique. They’re unique and can tell a story. My mom has always told me to buy one antique a year, and in 10 years, you can have a really nice collection. Any traditional looks to avoid? Balloon valances. In her living room, Margaret had two old Egyptian doors made into a sliding barn door—a rustic element that balances the pretty floral and checked fabrics. Career highlights Education at Parsons School of Design in New York; early design jobs in New York, Maine, and with the venerable Atlanta designer Dan Carithers; named a “Next Wave” designer by “House Beautiful” in 2012. 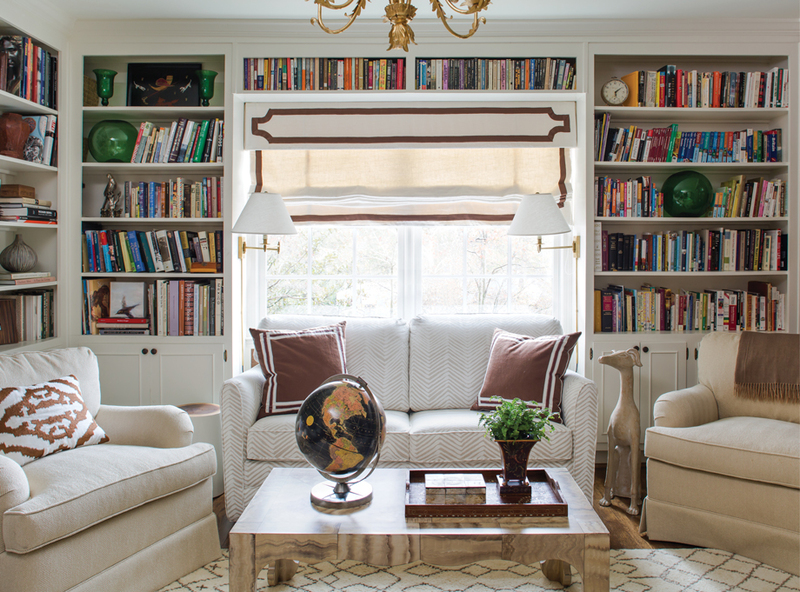 Tone-on-tone pieces in Margaret’s library include the quadrille-patterned sofa, textured chairs, and faux-patterned cocktail table. What do you like about traditional design? I think that traditional design speaks to every generation, and it translates to “comfortable” for so many people because it’s warm and inviting. Do you have a signature look? I add at least one piece of porcelain—even if it’s a garden stool, a bowl, or hanging plates as sculptural pieces on walls. I also like to use lots of color and a mix of fresh patterns and art. Window treatments Never underestimate the power of window treatments. 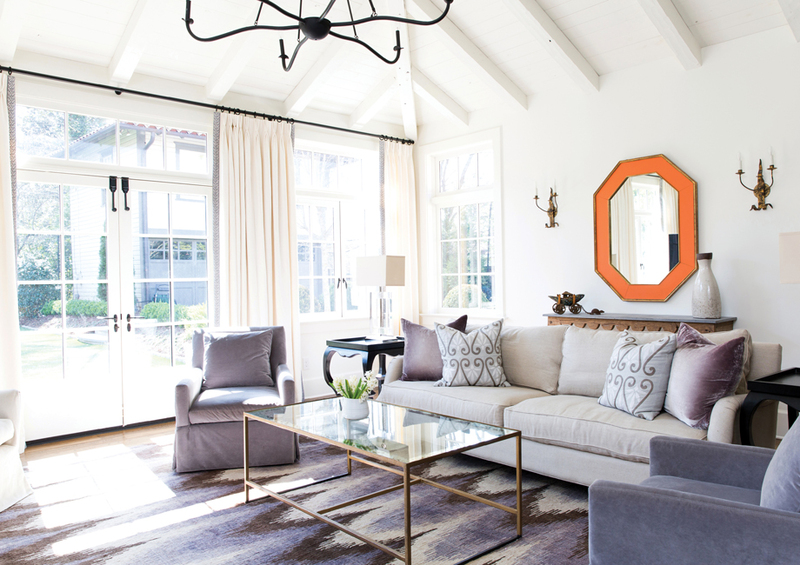 They dress and finish a room more than any other design element. I love patterned cornices and valances over draperies, but we do a lot of Roman shades, too. Wallpaper I always use wallpaper—both patterns and wonderful textured papers like grasscloth and faux bois. I incorporate it on ceilings, bookcases, and furniture to add layering and interest. There are so many great lines out there now. Some of my favorites are Cowtan & Tout, Thibaut, and Phillip Jeffries Ltd.
Antiques Antiques add instant patina and character, and make a room feel lived in rather than ordered online. If clients have family pieces that don’t quite fit in, we might give them a new life with a fresh coat of paint or strip the dark stain off altogether for a lighter wood finish. Look that needs to stay in the 80s? Ruched fabric on furniture can feel fussy. Your favorite way to update a traditional room? My favorite tricks also happen to be the least expensive ones. 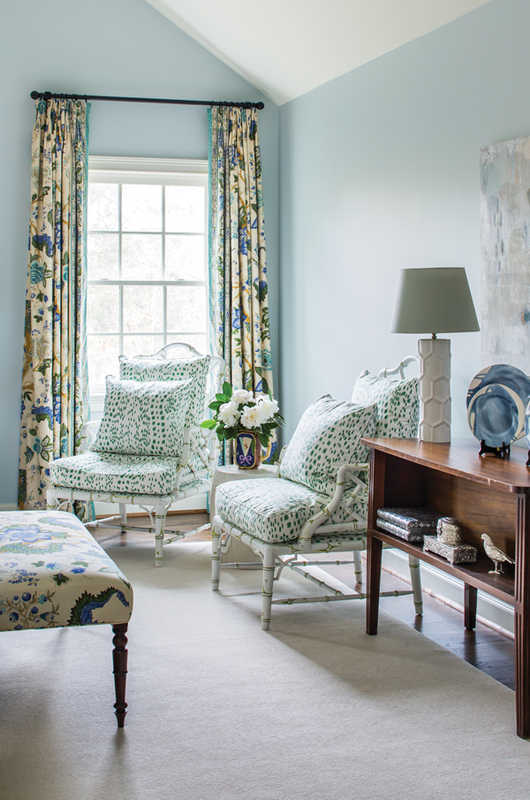 A fresh coat of paint can give an instant lift to any room. And if you have an adventurous friend, get a bottle of wine and have fun rearranging the furniture for a fresh perspective. Firm J Ryan Duffey Architect Inc. for him; Scout for the Home for her. This power duo often works together to merge his architectural expertise with her interiors savvy. Ryan: An architectural degree from Notre Dame included a year at their facilities in Italy, where he absorbed the classical designs that shape his projects today; early career with esteemed architect Keith Summerour. 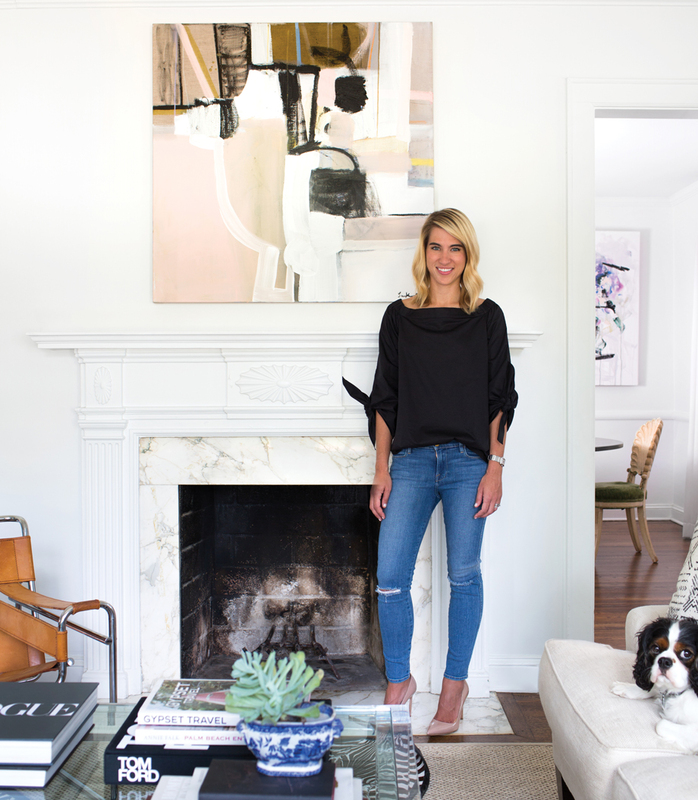 Nancy: The Atlanta native studied art history at Ole Miss, then founded a popular East Andrews retail store, Scout for the Home, before concentrating solely on interior design. Inside, the multipurpose space uses a neutral color palette and asymmetrical steel windows to highlight the landscape. Ryan: It grounds us in what feels natural. It’s about the harmony of the things that are around us every day. Ryan: I love things to curve and bend in a way that stretches the limits of tradition without departing from [it completely]. 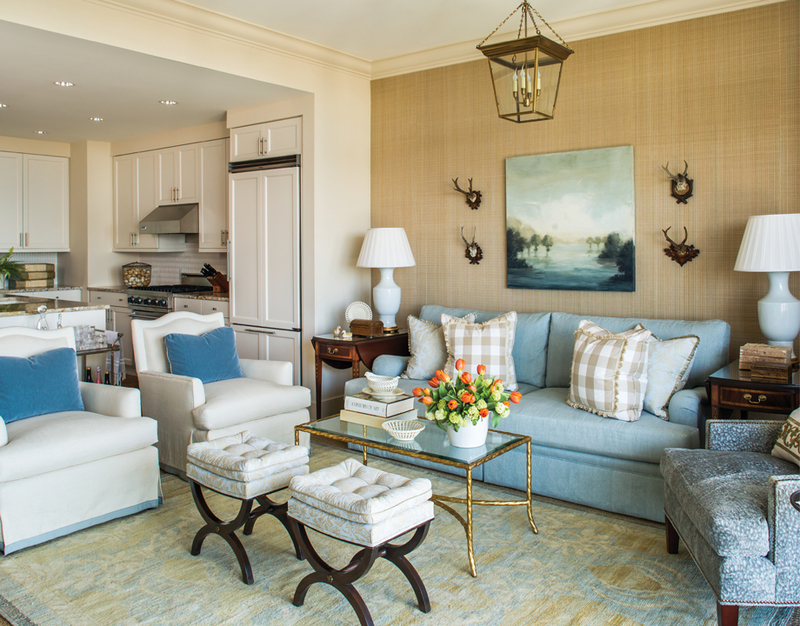 Nancy: I like keeping upholstery in a neutral fabric (my favorites are neutral linens), then adding visual punches with pillows or drapery—and I tend to have one main pop of color. 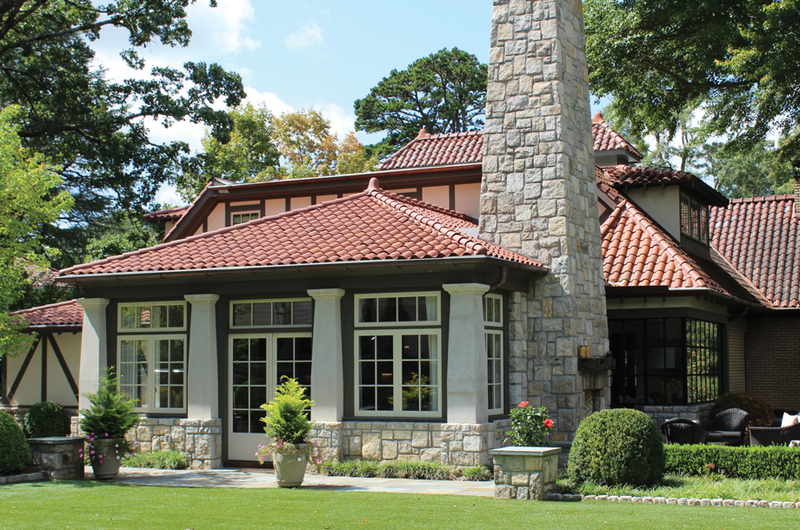 The couple worked together on this Druid Hills addition—a classic form of a pavilion says Ryan, with windows on all sides. Nancy: I believe formal dining rooms are a thing of the past, and our world is moving toward having only one dining area. I think dining should be about lively conversation and being comfortable. A formal dining area just doesn’t invite me to have another glass of wine. Nancy: My all-time favorite is Calcutta Gold. Ryan: I prefer dark stones like soapstone and white marbles of many types. I love a concrete top, similar to my love for a thick slab of character-grade wood. Ryan: No, thank you. I could live my whole life without wallpaper. Nancy: I prefer it in smaller spaces like powder rooms or bar areas. I love grasscloth, and I also like the look of a small print in a girl’s room. Favorite way to update a traditional space? Nancy: I love making all the trim and walls the same color. Changing out yellow-white walls to bright white refreshes the whole room. Career highlights After graduating from the Lamar Dodd School of Art at UGA, Lauren interned at Hirsch Bedner Associates, working on high-end international hotels before beginning a career in art consulting. 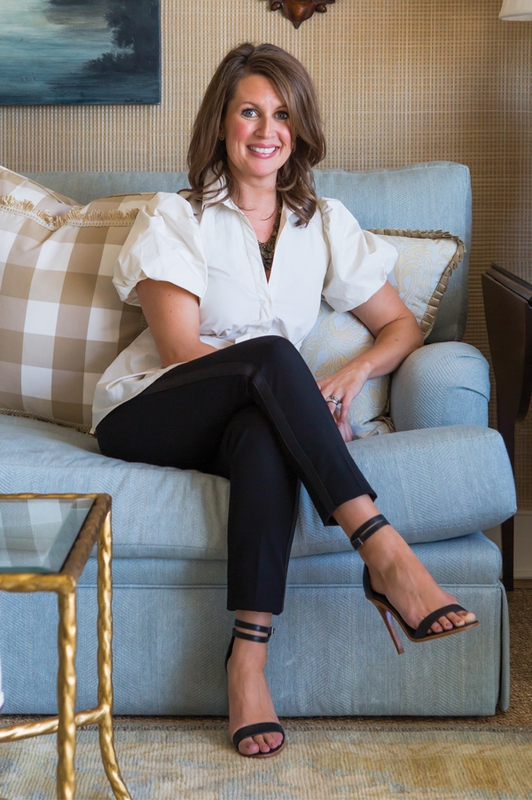 Her love of fabrics nudged Lauren to form an interior design company in 2002. 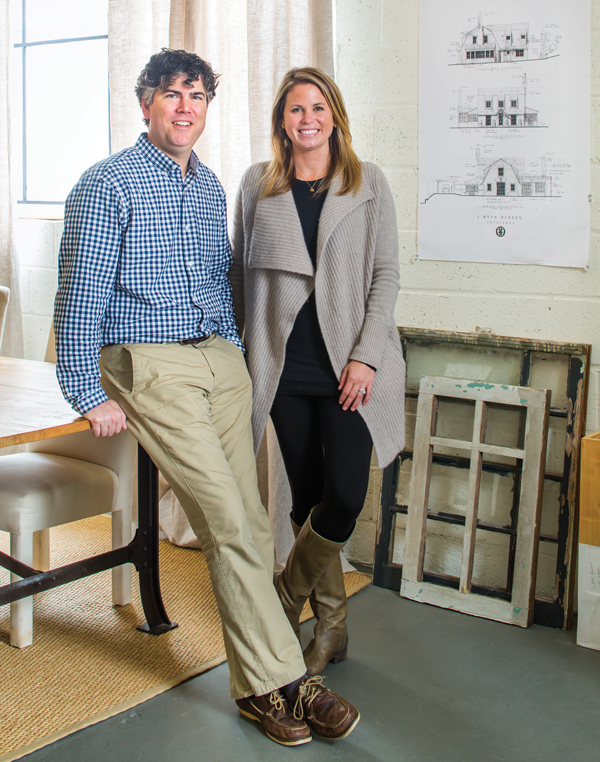 She often works with her builder husband, Greg DeLoach of Cottage Industry Construction. Why do you love traditional design? I love incorporating a sense of history. This is why I always design with antiques, which add layers of time and living. You just can’t buy that new. The main living area in this luxury high-rise serves as both a gathering place and small dining room. 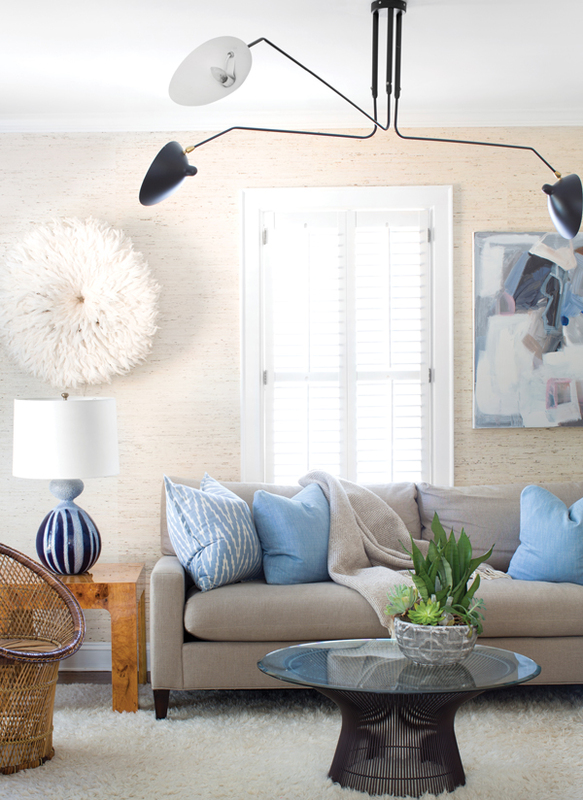 “We wanted to stay neutral and soothing with the color palette,” says Lauren. The antique rug is from Moattar. Who are your design idols? Growing up, I pored over design magazines and loved Charles Faudree; he is the reason I love checks. I’m also a big fan of Atlanta designers Dan Carithers, Suzanne Kasler, Robert Brown, and Jackye Lanham. 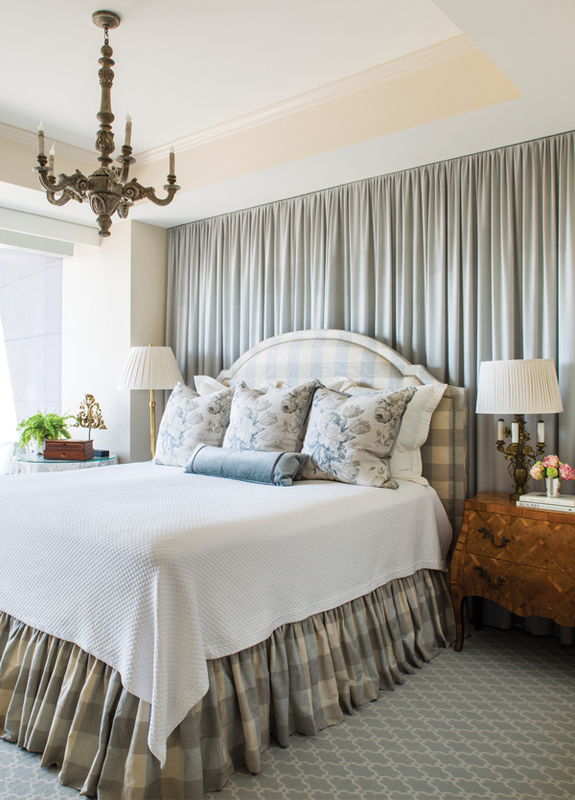 Lauren used Mark Alexander fabrics and Gramercy linens for this condo bedroom. Patterned fabrics I often start my designs from one patterned fabric. I always use checks. They are so friendly and fresh. Romo checks are my favorites. oversized art with great framing, or change out pillows, like adding a large check or velvet with wide trim. It’s also nice to mix some crusty painted wood or metal pieces with finer antiques. This article originally appeared in the Spring 2016 issue of Atlanta Magazine’s HOME.